It is important to note that the Current Population Survey counts students living in dormitories as living in their parents' home. Campus housing, for some reason, counts in the census as living at home with your parents. 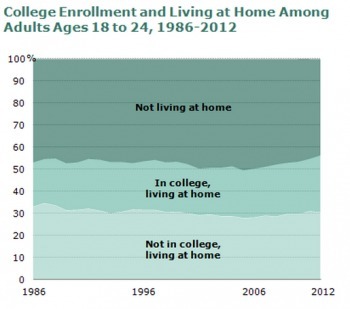 And since college attendance is growing, thus you get this trend that is not a trend.